SMART: Science, Math, Art, Reading & Take Home activities for Thanksgiving! This helpful set is filled with a week's worth of fun, educational math games, hands-on activities, science experiments, art projects, early readers, writing prompts and a Bible memory verse. Everything you need to add a little holiday fun to your kindergarten classroom this year! SMART Pack: Thanksgiving This set includes five simple science experiments and challenges. Each thematic activity guides students through a fun, hands-on science exploration with very little prep-work. Students work their way through the scientific method using the step-by-step science journals. 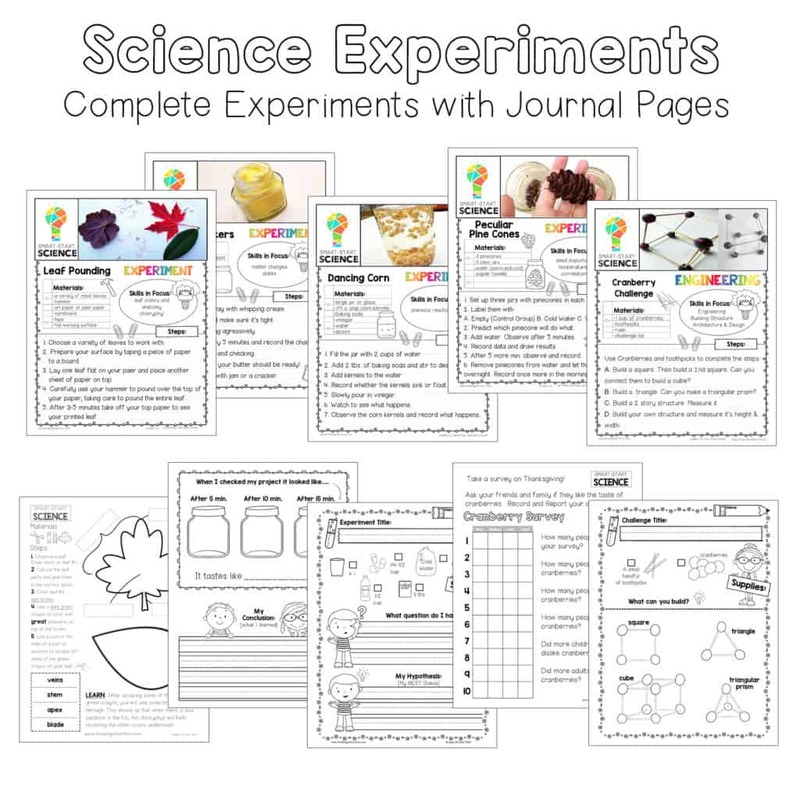 Each experiment includes a follow-up activity for added learning. Each day students will play a fun game or activity then follow up their learning with a lesson sheet to show mastery. 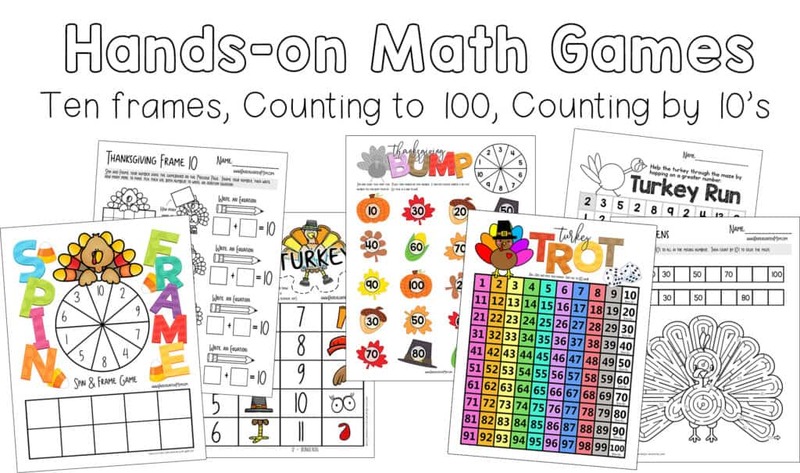 Games focus on learning to frame numbers to ten, basic addition, counting to 100, and counting by 10's. 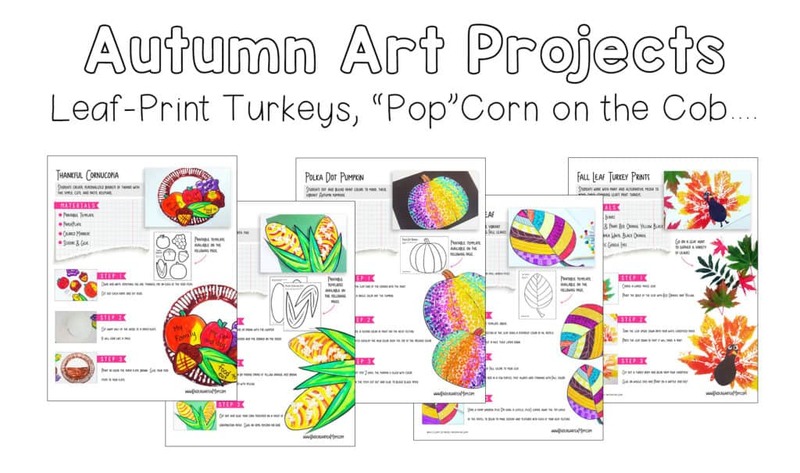 We include five stunning autumn art projects that are perfect for Thanksgiving. Each project comes with a full photo tutorial, printable templates and easy to follow materials list. Students work with oil pastels, paint, textures, blending and more. This set includes three early readers covering social studies and history. Each story includes a carefully controlled word list and incorporates key vocabulary for extended learning. 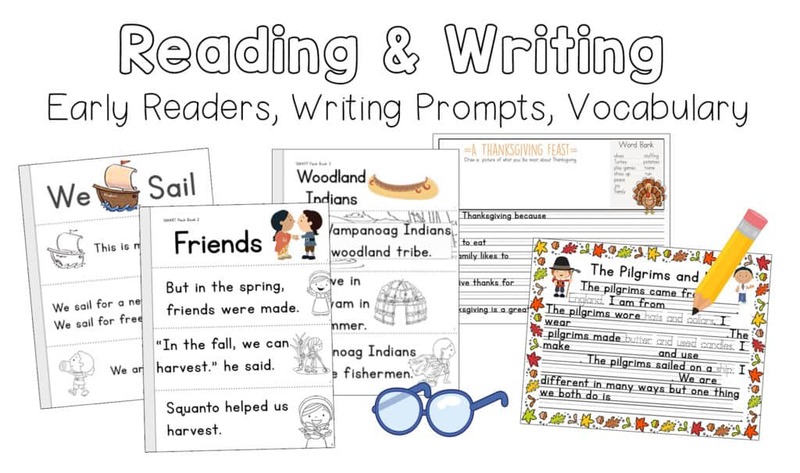 Students are provided narrative and comparison writing prompts that are not only simple to follow, but would make wonderful educational keepsakes. T is for Take Home Review Sheets. 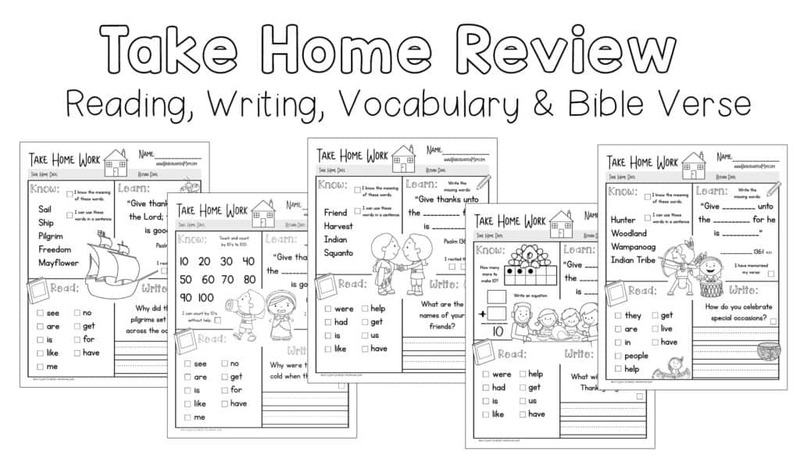 These sheets can be used as review work in the homeschool classroom or as homework in a standard classroom. Each page features reading, writing, vocabulary, and scripture memorization activities. Character thinking points are available instead of Bible memory for those using this resource in a public school setting. Like the idea of the Thanksgiving smart pack - has different activities to keep the kids engaged and helps tie in the different concepts learnt elsewhere - Not bad overall! This was so perfect for our Thanksgiving week!